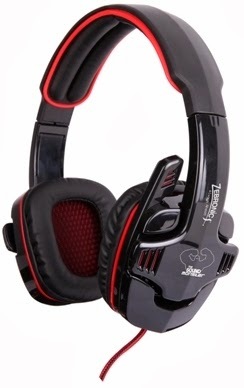 Top Notch Infotronix, India’s leading supplier of products and accessories for Computers, Consumer Electronics and Communication under the brand ‘ZEBRONICS', has introduced four new gaming headphones – the Zebronics Iron Head, Colt, Rattlesnake, and Stingray, a fantastic series in its multimedia headphones category with volume control, mute button, mic on/off and inbuilt microphone. Designed to look and feel like headsets worn by pro-gamers, the Zebronics Iron Head is the star of the new line. A battle-ready solution, the first from Zebronics to incorporate 7.1 channel simulated sound effects for powerful, immersive PC gaming audio, it delivers superior sound isolation. The soft ear pads are foam cushions that mold to the shape of your ears for maximum comfort over extended use. 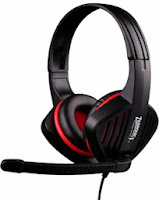 Dedicated microphone and volume controls are conveniently close at hand even when using a PC or notebook for gaming enabling quick use rather than fiddling with software settings. Easily connected via USB and built-in sound processor and featuring a 3-meter long cable, the 7.1 channel simulated sound effect technology makes it the most vital weapon for your total PC gaming and movies enjoyment. Its excellent all-round performance makes it suited for discerning music lovers and movie enthusiasts too, apart from playing games. Whether blocking out the loud noise made by a bus, the construction work just outside the home or any other ambient sounds, users will hear nothing but the sweet, immersive sounds of music, destruction and victory. 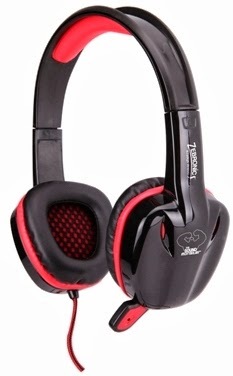 Zebronics Stingray, a super bass headphone which can be used for high-end gaming, watching movies, listening to songs on any PMPs like the other three models. 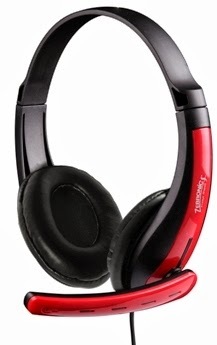 Pradeep Doshi, Director Sales, Top Notch Infotronix said "We've been continuously focusing on our headphones category, and have been introducing new models with superior comfort level and audio quality, making the range one of the largest in the industry. The powerful range in this new line are backed by a fashion statement, listen to music or make calls, with zero strain on your ears." Zebronics offers its customers a distinctive sound experience with the new headphone. The 1.8-3.0 meter long cables has an attached multifunction remote control for even more relaxed use. All the headphones feature padded soft contact surfaces, volume control and microphone for optimum usage comfort. With a excellent frequency response covering the full aural spectrum, designed to provide amazing audio quality for varied uses. Intended to appeal to style-conscious users and match individual usages, the new headphones come in dual colour – classic black and trendy red – to suit the personality of any kind of user. Representing Zebronics’ dedication to quality at value prices, the headsets are priced affordably starting from Rs. 1799/- for Iron Head, model Colt for Rs.349/-, Rattle Snake - MRP Rs.999/-, and Stingray is priced at - MRP Rs.499/- including one-year warranty and are available right away at Zebronics’ e-commerce site – www.moneyvasool.com – as well as leading consumer-IT stores and on-line vendors. Top Notch has 30 Branch offices and over 90 service centres covering all major cities. The Company employs over 700 people and operates through a network of about 12,000 channel partners throughout the country.